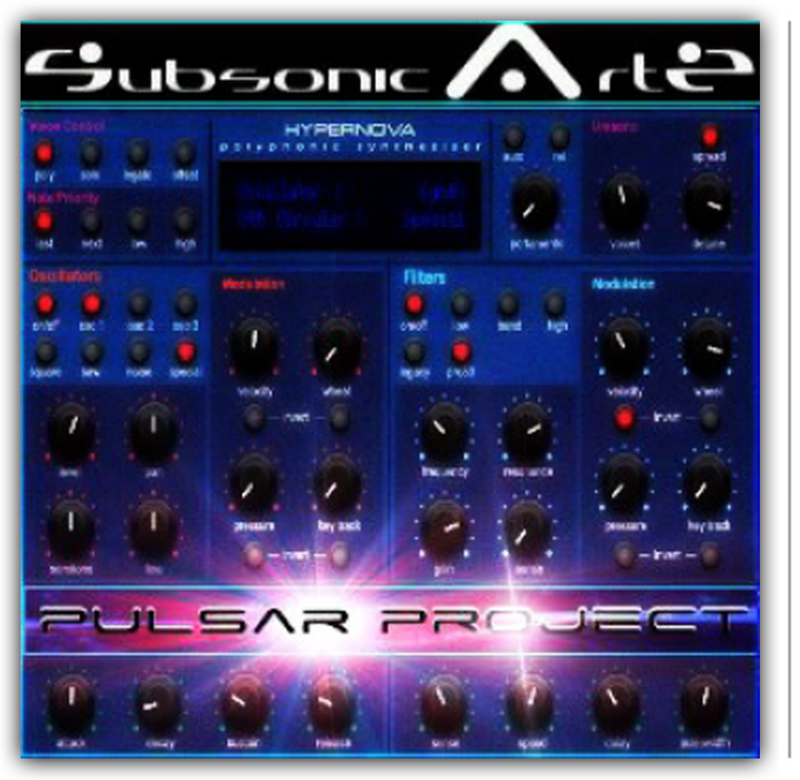 deeply glad to present you the Pulsar Project which is a free add-on preset pack created for the Hypernova kontakt library from CL-Projects. As we nstantly loved the CL-Projects Hypernova library from our dearest friend Frank and were immediatly inspired to build some more patches when we tested it, we decided to build a full pack as add-on. the samples and engine designed for Hypernova, we created Pulsar Project and wanted it to be a dark, spacy, creepy and angelic, vangelistic, futuristic, cinematic and pulsing bank. Source: Fred Nongat from SubsonicArtz. You have to own the Hypernova Kontakt library from CL-Projects to use these patches.This library will only work in the full version of Kontakt 5.3 or higher. When using the free Kontakt Player, this library will only work for 15 minutes in demo mode ! For owners of the CL-Projects - Hypernova Kontakt library.